Home » News » BBTA April Newsletter. On 20 Feb 2015 Dr Daniel Wolverson, University of Bath, gave a most entertaining talk on German Wines. At intervals during the talk we had the opportunity to taste 4 white wines – three sweet and one dry. We learned that the quality of the wine is often judged by its sweetness. The 2015 Petanque twinning challenge will take place on Friday 26 June at 6 pm. 2 teams will represent each twin for the Trophy won by Alkmaar last year. If you would like to try the game the City of Bath Petanque Club meet every Wednesday at 11 am on Queen Square and every Monday at 6 pm at Alexandra Park. If you would like to be in the Braunschweig team please contact Hilary Elms. A report from the Virtual Museum of Bath recommends that something needs to be done about the unsightly box (?electricity substation) near the Brunswick Garden in the Parade Gardens. Banksy we need your help! On Friday, 13th March 21 German students from our twin school IGS:FF in Braunschweig arrived at Ralph Allen School. 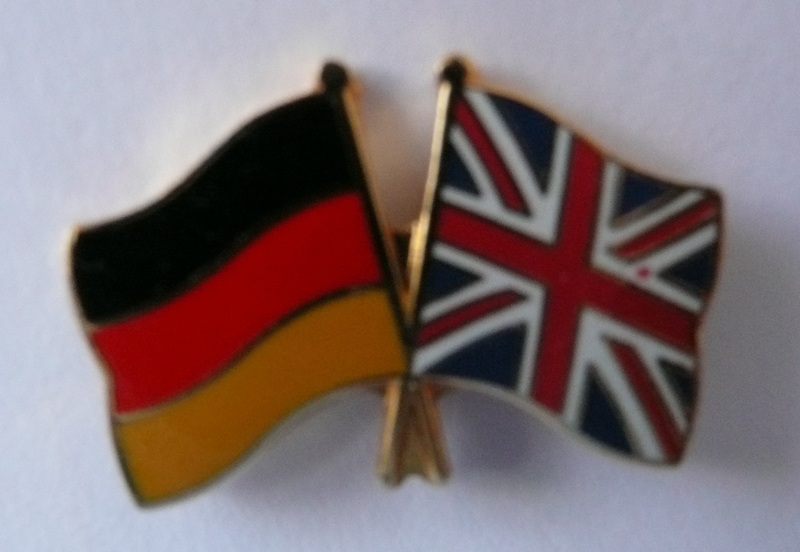 They spent 9 days hosted by our KS4 students currently studying German at school. The weekend was spent with host families who kindly showed their guests the delights of the City of Bath and surrounding area. On Monday, the German students spent the day in lessons. They followed their hosts’ timetabled lessons and felt very welcome in all lesson activities. On Tuesday, the German students went to explore the City of Bath together with their Ralph Allen Exchange peers. The day started with a visit to the Roman Baths. This was followed by a reception at the Mayor’s Parlour where the German delegation was greeted by The Mayor of Bath, Cherry Beath. She welcomed the group and stressed the importance of this exchange in strengthening the links between the twinned cities of Bath and Braunschweig. The afternoon was spent exploring the Fashion Museum. In the evening the students went out for a meal at Jimmy Spices. On Wednesday the German students went to Prior Park to enjoy the views of the city and to explore the gardens. 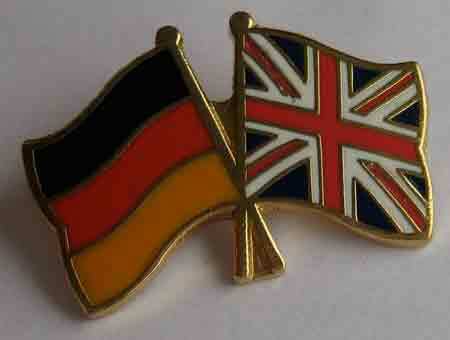 On Thursday the German party went to Bristol where they visited the M Shed and Cabot Circus for some shopping. In the afternoon Mrs Godwin had arranged a High Tea which was also formally attended by Councillor Bryan Chalker and his wife as part of his role as chairman of the Bath – Braunschweig Twinning association. On Friday the German students spent a final day here at school. Saturday saw themtravelling as far afield as London for more sightseeing and shopping. On Sunday we said goodbye to our guests as they left Bath for their return journey to Braunschweig. I would like to thank all parents and staff for hosting students and giving every one of them a very memorable stay here at Ralph Allen School and in Bath. Our Chairman Bryan Chalker’s 1973 Trabi, ‘Hermann’, was purchased for only £1 seven years ago, having been found in a barn in Southstoke just outside Bath. After 3 hours in the hands of Larkhall Garage, the little German 2-stroke car was up and running , showing that simplicity is the key to a robust motor vehicle. It isn’t the easiest car to drive, with its 2-cylinder motor-cycle engine and gravity-fed fuel system, and the noise emitted from under the bonnet is akin to a lawnmower on steroids but the little yellow Trabi has proved to be incredibly reliable, starts first time in any weather and passes its annual MOT without too much trouble. The car’s only pointless ‘extra’ is a radio, because it simply cannot be heard over the engine noise! After a rather bad start to the year 2015 with the cancellation of the Carnival parade and very annoying weekly demonstrations (but also impressive counter-demonstrations), the citizens of Braunschweig are now waiting for a beautiful spring with pleasant temperatures and lots of sunshine and fascinating events. This weekend there is an international horse riding tournament where many famous participants are expected. On Friday 20 March everyone enjoyed the amazing solar eclipse in blue sky and the whole town had a clean-up day on Saturday to make the city shine bright and neat. Wishing you a very Happy Easter with sunshine and many beautiful Easter eggs. Brunswick - probably derives from ‘Bruno’ and ‘wick’ meaning place. But who was Bruno? Bruno 1st (960 to 1016) member of a family of Saxon nobles is generally considered to be the founder of Braunschweig.